October 1st marked the 25th Anniversary of the AIA Austin Homes Tour. A new component to the program was the incorporation of cycling to encourage a healthy alternative way to experience, explore and enjoy the tour and the city. Austin City Councilman Chris Riley, who lives, works and commutes by bike, cut the ribbon to officially open the tour. 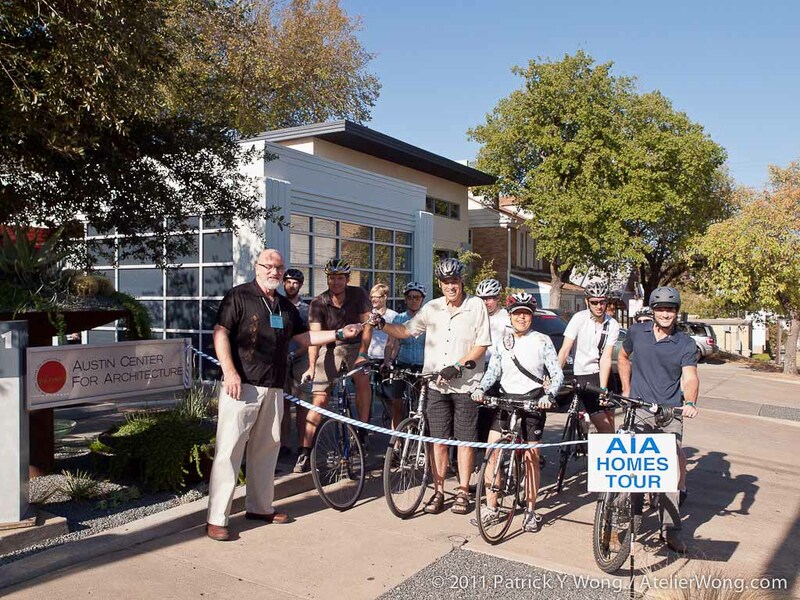 Several AIA Austin members participated in the cycling kickoff to the homes tour, along with numerous Austinites who have a passion for great design and cycling.